The patient came to our clinic in hopes of obtaining a natural looking hair line. In spring of 06’, we corrected the patient’s previous hair line with a much more appealing frontal hair line. 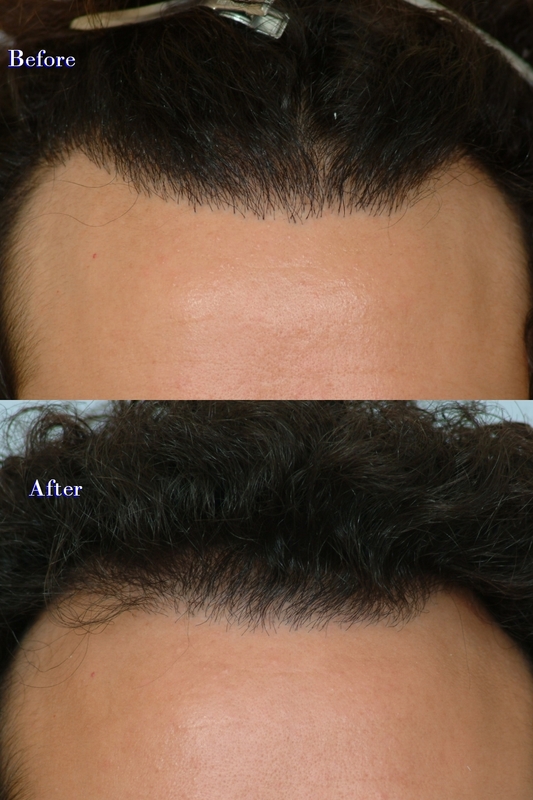 The smaller grafts placed on this patient’s previous hair line were not natural in appearance. Dr. Cole’s treatment plan for this patent was to redistribute some of most of the unsightly smaller grafts with even smaller follicular unit grafts. In appropriately 2-hair and 3-hair follicular units were place on the hair line prior to CIT treatment. Shortly after the procedure, the patient noticed the effect of the successful repair session. Single hair follicular unit grafts were placed on the front to create a much softer, more attractive hair line. The hair line now appears as if no CIT procedure was performed and the patient’s goals were met. Happy endings to the appearance of this patient’s unnatural hair line! Some people are just obsessive with their hair, he didn’t look bad at all, why waste the money? » why waste the money? I can understand that you have a point of view, but this patient wanted the hair line to appear natural to everyone he would come in contact with after the procedure. This would leave no question about a performed hair transplant. 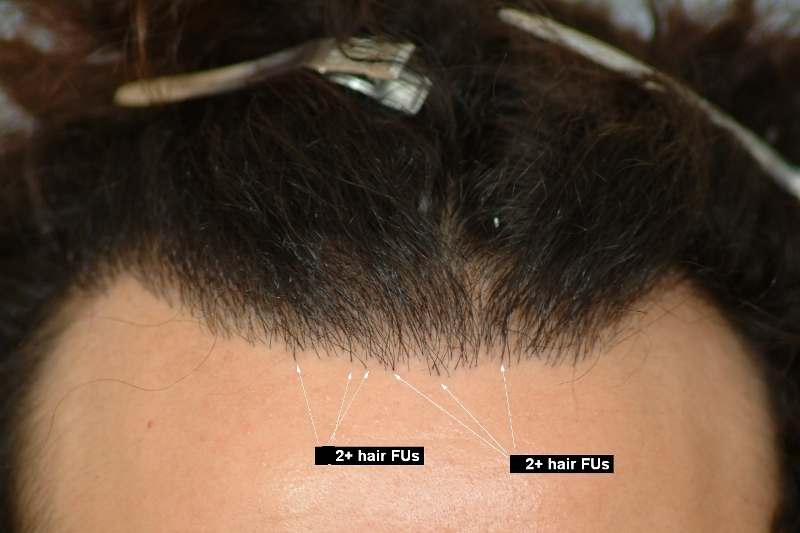 The attention to detail and fine redistribution of follicles compliments the patient’s hair style as well as framing of the patient’s facial features. The new softer hair line makes the previous hair line look like a transplanted hair line. If you can see the difference then the patient says that the procedure was as success and worth every penny. » » why waste the money? » patient says that the procedure was as success and worth every penny. How about “priceless”? Looks like a happy ending for this guy! Thanks on behalf of our clinic. We have been trying to make the most of each patient’s hard-earned money. We do not accept hair transplants to be categorized as “OK”. No matter how many transplanted CIT grafts we perform in a procedure, our patients don’t contact us with questions regarding the naturalness of their hair transplant. I have see so many patients living with a baseball cap because of an unnatural front line. They usually just want to be “normal” again and move on with their lives.